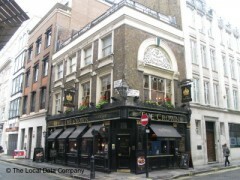 About: The Crown is a small London pub serving traditional pub food. They can also cater for private parties of up to 60 people. They have Sky TV, fruit machines, games machines and background music. They also operate a takeaway facility. Just what we were looking for, a real pub, with lots of choices on the menu. Our food, the lamb shank pie and my beef in ale pie , with fresh vegetables that were on our "to eat" list, were sublime. Nice wines and good brandy too. So pleased to have found you. A lovely, relaxing place to be, the staff were happy, polite and welcoming, no wonder it had a large and content clientele. Will come again, and recommend you.